"This is a part of me many of you don't see, I am expressing part of my life in code only for me to know, yet many of you will see clearly parts of your realities presented"
What do you say is today? Do you know what's happening in my heart, do you know the depths of my soul? Alone but not lonely, today but not right now. The essence of my being keeps shifting and evolving and I have not a way of controlling the outcome, but to watch. Do you know how the ocean knows or do you know the way the sand learns the knowing. Darkness is no longer in the midst of Caprica, nor are the moons of Bajor in danger of an attack. Yet today is the day of rebirth another one is born. Are you the hipocrite whose shallow life is bent on the marking of judgement, how dare you judge my beauty by how I look, how dare you judge my soul by what I write. You say you don't mean it yet you keep on doing it! Do you take me for a fool, pa'taqh. You miserable tobah, what kind of intellectual diarrhea comes out of your brain? Can you feel the winds of change under your wings, can you hear the chimes from the oracle of Quintana. You fool you deserve no punishment and no reward, the Gods are not smiling you think you are good at your game, yet the Gods always win. Yet some of you not many will join me in the path to freedom, will you take my hand and walk through the StarGate with me? I promise things will not be the same, today, tomorrow and yesterday exist in the same moment. 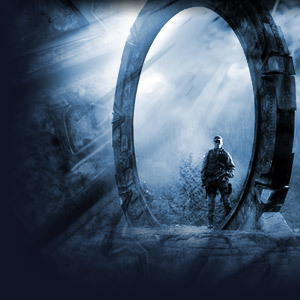 Come let's walk through the StarGate, there is no turning back. May the Gods of Kobol have mercy on our souls. Jump!!! I feel like I am walking through a stargate Tuesday. There is much unknown where I am going. The stars in the sky will even be different than the ones I see here... I guess we all walk through stargates at different times in our lives. As long as we bring our DHD...and hell, while we're at it I'm sure the Gods of Kobol will not mind us hitching a ride on BG.